MONEY BACK GUARANTEE and FREE SHIPPING across the US ! 125g (4.4 oz) powder will last 25 days. Suitable for vegetarians, the powder can be sprinkled over cereal, muesli or mixed into juice, a smoothie or yoghurt. Contains Net Wt. 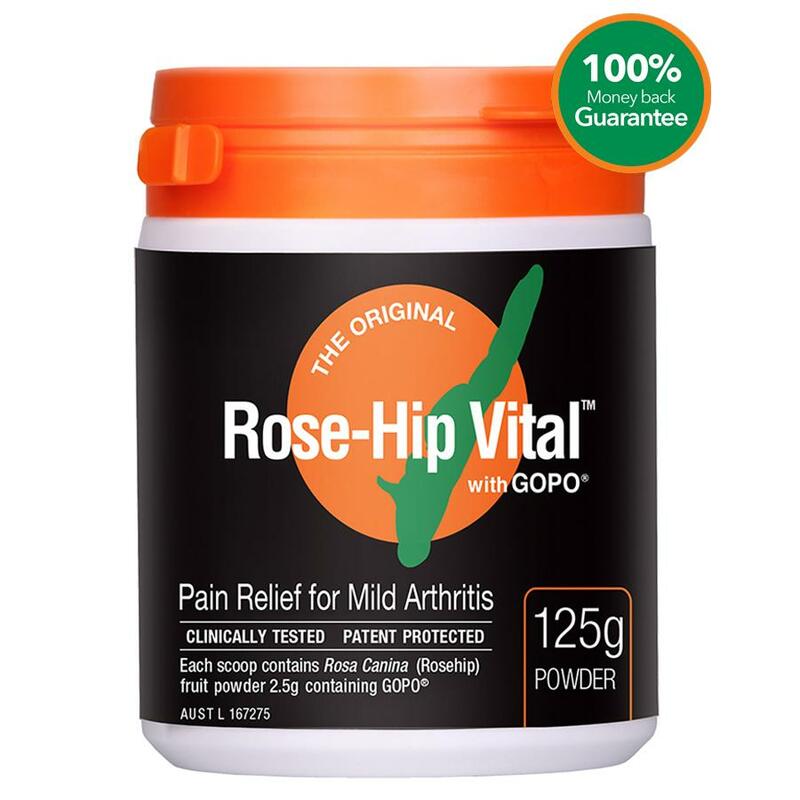 125g (4.4 oz) patented Rosehip powder. 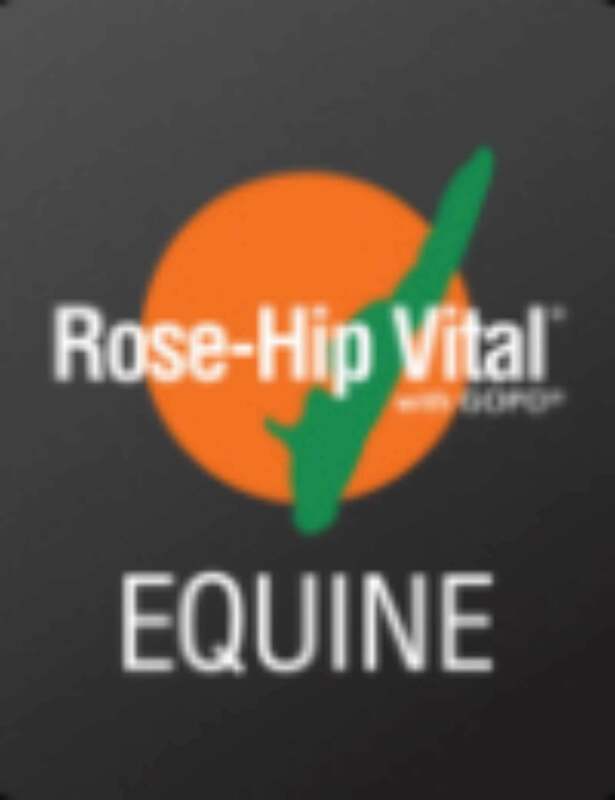 Rose-Hip Vital® with GOPO® is a scientifically and clinically tested plant-based anti-inflammatory and immune system support for joint health and general wellbeing. 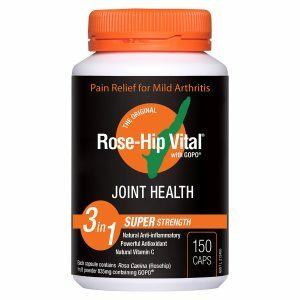 Made from rosehips manufactured with patented extraction and drying processes, it’s a scientifically and clinically tested natural anti-inflammatory, antioxidant and natural vitamin C used to relieve and prevent joint pain, stiffness, inflammation and swelling associated with mild arthritis. Backed by more than 30 scientific studies including 9 double-blind placebo controlled trials, Rose-Hip Vital® with GOPO® also assists active people by maintaining and improving joint health, wellbeing and performance. Results are usually noticed within 3 weeks.